As a holistic treatment, aromatherapy can have a profound effect on physical and psychological well-being. There exists the belief that smell as the most enduring of our senses, has the power to transform our emotions, and heal our bodies. 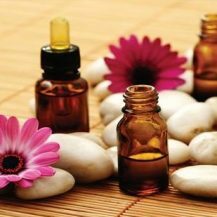 The benefits of essential oils can be obtained through inhalation or by external application and could help congestion/colds, calming emotions and nightmares, menopausal problems & PMS, sore or injured muscle, relaxation, quick energy, uterine tonic and aids in contractions during childbirth, digestive troubles (esp. due to tension), dry skin, a strong disinfectant, anti-bacterial, and anti-fungal.